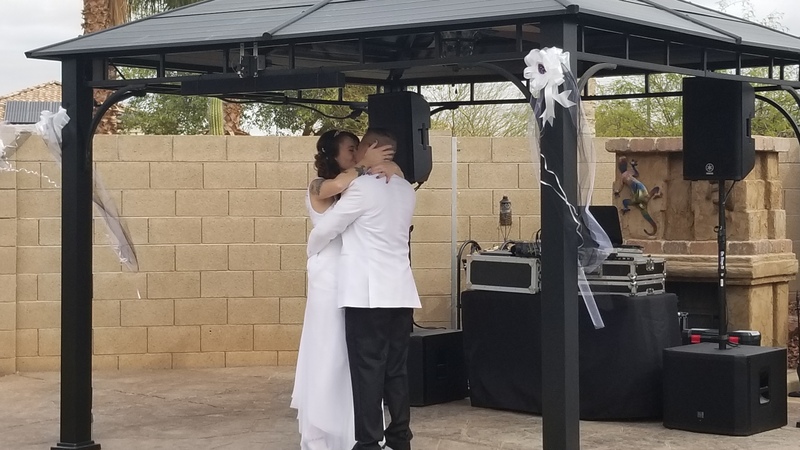 Whether you are planning a wedding, graduation party, birthday party, reunion, anniversary party, retirement, fund-raising event, or corporate function, in and around Surprise Arizona, we can help make your event a success. Az DeeJay Service is much more than music. We know how to keep your guests entertained while making sure that your event progresses smoothly from start to finish. We work close with all your other vendors to make sure you event runs smoothly and stress free for you. Our Professional Disc Jockey will allow music requests that are event appropriate and will make any and all announcements so your party goes off without a hitch. All events come with a wireless microphone. Our prices are competitive. We know that every event is important to our clients and we treat it like that. Having the right dj can make all the difference and we are your dj. Phoenix, Sun City, Glendale, Scottsdale, Mesa, Chandler, Peoria, Goodyear, Litchfield Park, Tolleson and many more…. Whether it be a DJ for your ceremony, wedding breakfast, reception, or even all of them throughout the day. We’re here to make sure that you get the day that you deserve. Pricing starts at $400, Call/text/email for a Quote! No matter the event or party, we bring the perfect package of music, and lighting, Contact us today to find out how much fun your next event can be! Pricing Starts At $300, Get A Quote! Corporate Event?, Get A Quote. He cares for you and wants to make your special day as perfect as possible. Ours was as perfect as it could get. AZ Deejay Service provides outstanding first class professional DJ and MC entertainment. * Pricing and packages are subject to change without notice. *We offer special discounted pricing for off season dates (Jan/Feb/June-September). Please contact us for further details. **Prices and packages will not change if already booked Service. *** Prices do not include transaction fees (when paying by credit card), Options (add on) and travel charges where applicable. ****Customer or AZ DeeJay Service is under no obligation to book any event. Event is not booked until contract is confirmed, signed by client(s) involved and accepted by AZ DeeJay Service.